Stained chair from food & drink. The Professional Cleaning Company stain removal service. Mrs Evans from seldom Surrey is one of our repeat customers, she has been using our services for many years and came from recommendation from another client that uses us. 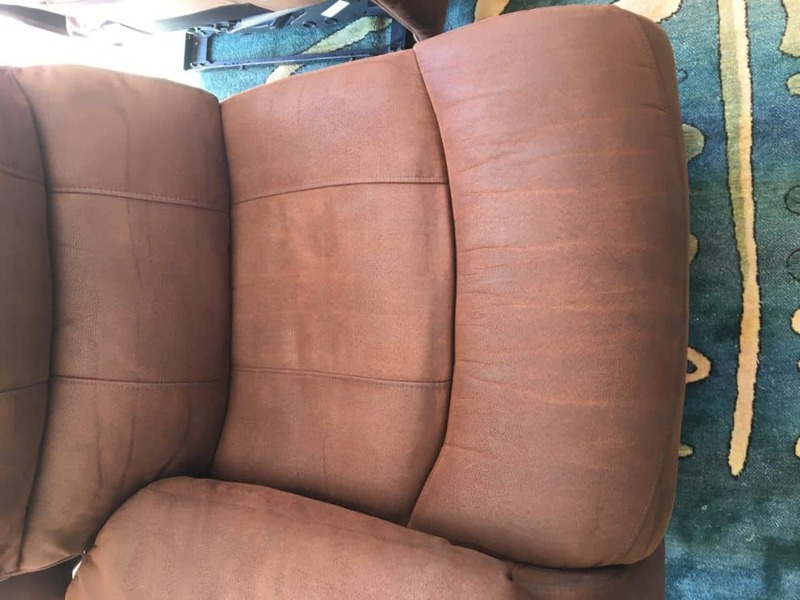 We have cleaned Mrs Evans carpets and upholstery’s on an annual bases but on this occasion she needed us to clean a chair which was heavily stain from food and drink cause by their grandson. The chair was a faux leather in brown no wear and tear just dirty but stained for many months so well ground in. 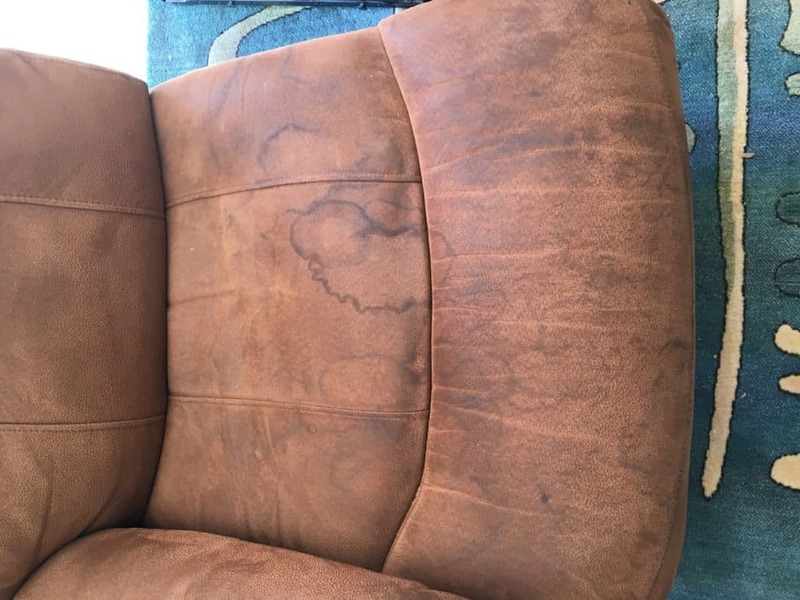 Using our high powered Truck mounted cleaning system we were able to deep clean the chair removing all stains and odours bring the chair back to it original state. If you value your fibres and fabric but are unsure if they can be brought back to virtually new condition please call for a free assessment. https://www.theprofessionalcleaningco.com/wp-content/uploads/2019/04/The-Prosressional-Cleaning-Co-Logo-1030x284.jpg 0 0 marcus https://www.theprofessionalcleaningco.com/wp-content/uploads/2019/04/The-Prosressional-Cleaning-Co-Logo-1030x284.jpg marcus2018-10-10 14:51:112018-11-07 16:47:43Stained chair from food & drink. What’s sitting on your sofa? Book now for Christmas Carpet & Upholstery cleaning.